On your wedding day you are filled with emotions bubbling towards the surface. 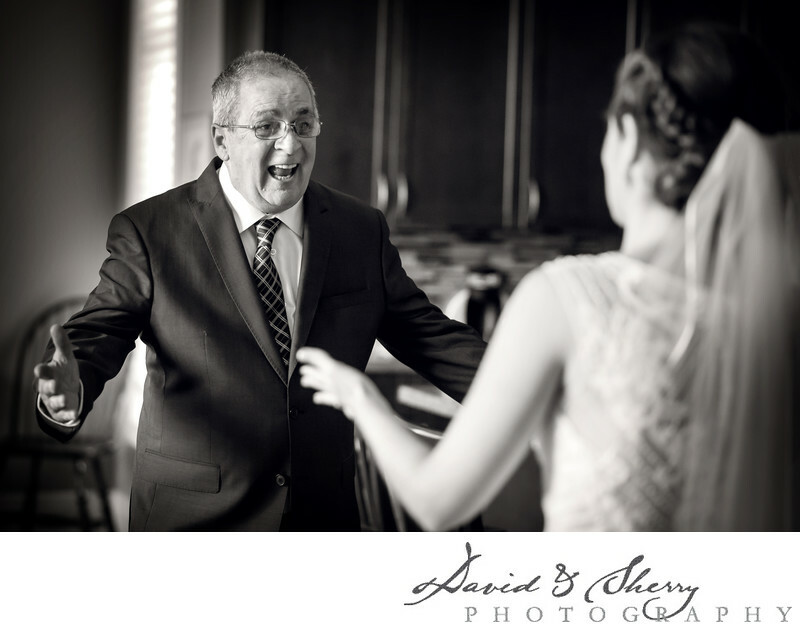 People who are not normally in the habit of crying tend to need a tissue so it is our job to capture your dad and daughter first look in the wedding dress, mom crying as she stands aside watching dad explode with joy and emotion and the look on all the bridesmaids faces when the see you for the first time in your wedding gown. The look on your soon to be husband's face as you enter the church to walk down the aisle as his face boils over with tears and the bridesmaids looking on gawkingliny at how beautiful you are happens during the ceremony while the father daughter dance, mother son dance, first dance and partying to the djs music through the night presents wonderful opportunities to capture beautiful moments with our long prime lenses as we stand out of the way and capture what is there. This is called photojournalism and during a wedding it is paramount to the overall coverage of the wedding. We love looking for and capturing stunning real moments and emotions on the wedding day in Vancouver.